With the passage of time comes build-up and deconstruction. Our memories are knit together to form a narrative of the past, and at the same time they unravel as they drift further from us. In my drawings and paintings I explore the fleeting nature of all things. Through layers of wet and dry media, familiar places are obscured and abstracted to evoke a sense of a history now lost. Structured by an impressionistic translation of observed spaces, my work is infused with the emotion of the abstract expressionist tradition. 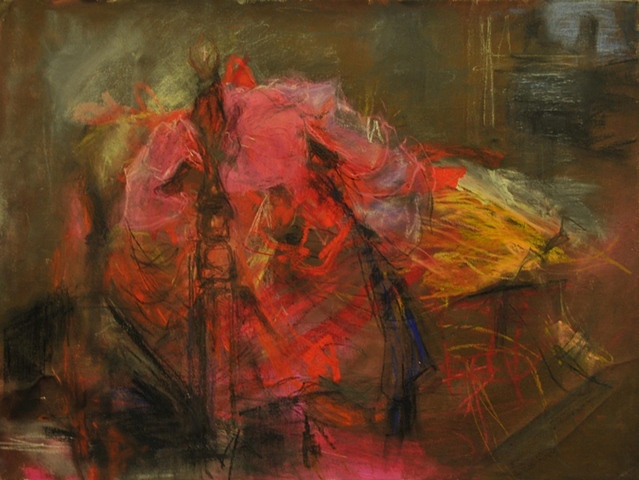 Ghostly washes of color contrast with brilliant, gestural streaks to evoke the erratic, unpredictable rhythm of life. Even the most solid-seeming of things falls apart; it is this intangibility of time and space that directs my work.